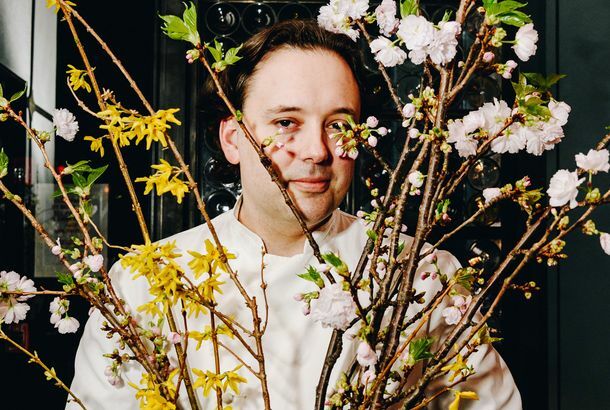 What Does Paul Liebrandt Want?He’s among New York’s most accomplished chefs — now, his definition of success is evolving. 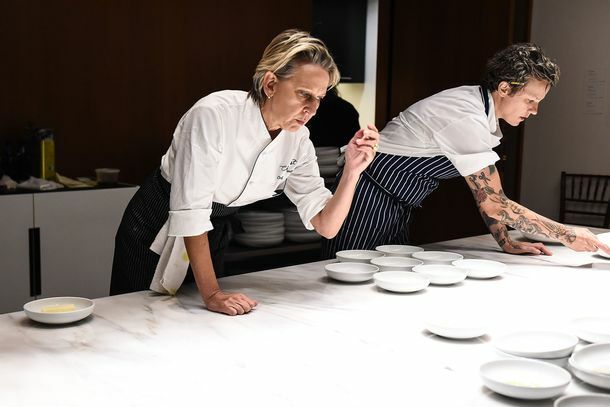 Gabrielle Hamilton Won’t Take Over the Spotted Pig After AllThe two sides were unable to reach a final agreement. World-renowned Chef Joël Robuchon Has DiedThe French chef was 73. What We Should Expect From the Men Who Run RestaurantsSexual assault is the biggest problem facing the hospitality industry. The time for action is now. 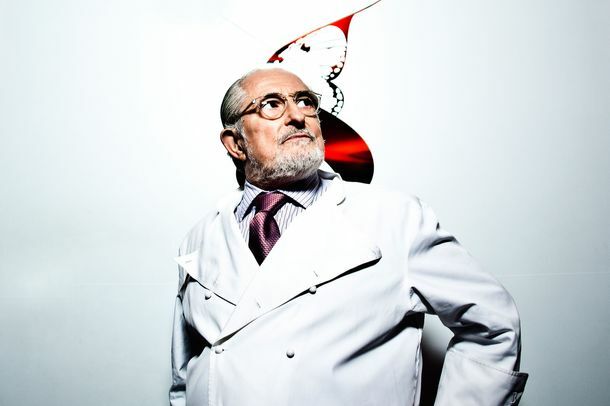 The Life and Legacy of Alain Senderens, the ‘Picasso of French Cooking’The celebrated chef passed away this week at the age of 77. 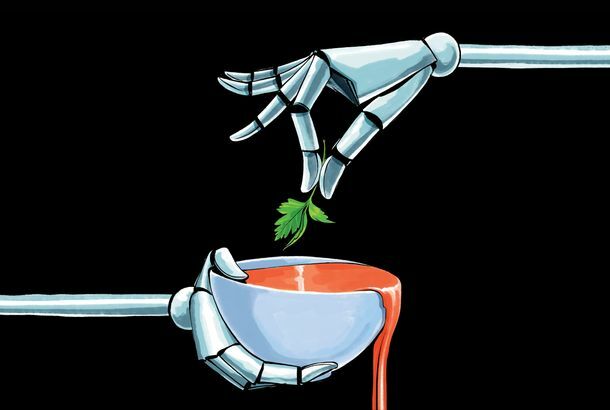 The Limits, and Possibilities, of a Robot ChefThe chef of the future makes only one dish: crab bisque. So it better be tasty. These Deliciously Avant-garde Desserts Are More Than What They SeemIt doesn’t look like food until you dig in. 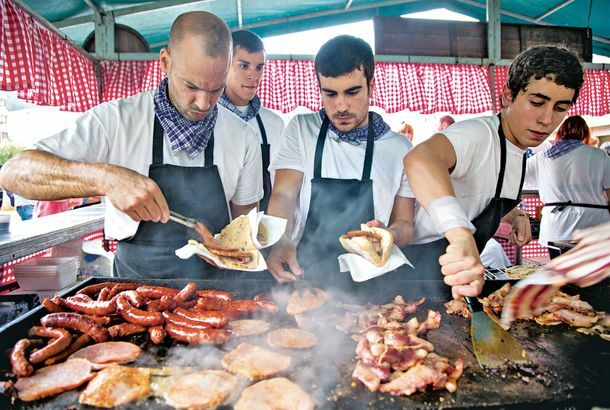 This Is the Global Street Food Chefs Rack Up Miles ForMade-to-order eel omelets in Kyoto and roadside beef skewers in Lagos that will make you cry. The Best Pots and Pans for Every Meal, According to ChefsWhat’s the one pot or pan New York chefs can’t cook without? Chefs Share Their Secret Cheap-Eats SpotsWhere they go for tacos, Singapore noodles, fried calamari, and more. Meet a Chef Who Infuses Michelin-Caliber Food With MarijuanaThis is a far cry from your college roommate’s special brownies. Why More Restaurants Than Ever Are Hosting Guest-Chef Pop-upsChef cameos can be fun, but they can also be an effective tool for recruiting and maintaining a talented staff. Here Is Your Bocuse d’Or Team for 2017Per Se’s executive sous-chef is leading the charge. Team USA Takes Silver for the First Time Ever at the Bocuse d’Or 2015The closest we had gotten previously was sixth place. Thomas Keller Launches Ad Lib, a ‘Temporary Restaurant’ SpecializingDon’t call it a pop-up. 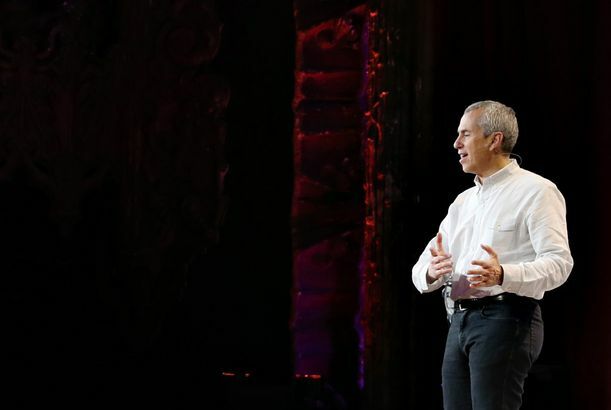 Chefs Explain How to Succeed in the Restaurant WorldApril Bloomfield, David Chang, Wylie Dufresne, Mario Carbone, Alex Stupak, and others have a few things to tell you. Fire-Damaged West Coast Restaurant Manresa Will Reopen for New Year’s EveReservations for January go up for grabs beginning December 15. 10 Awesomely Outrageous Stories About Tavern on the Green’s New ChefOnly one chef sipped crème anglaise straight from a Brandy snifter every morning to treat hangovers. A Short History of Gordon Ramsay’s Softer Side Post-KitchenHis long-running show is over, so now he’s ready to cuddle? Prune at 15A staff dinner with the celebrity chef who hates celebrity. Gordon Ramsay Has Opened 49 Restaurants in His Career — and Seen 23 CloseThe British chef has at least three more projects in the pipeline, too. Watch Mario Batali and Jimmy Fallon Pal Around on the High LineThey’re just a couple of guys seeing the sights, playing some mini golf. Daniel Boulud Sued by Employees Over Withheld TipsThe class size may eventually grow to include 500 restaurant employees. Gordon Ramsay Says Reality TV Is Just As Good As Live SportsIt’s all about dealing with pressure. David Burke Already Planning a Bunch of New RestaurantsBut what about the cheesecake lollipop trees? Gordon Ramsay Will Open Hong Kong RestaurantHe’ll open near Jamie Oliver’s new place. 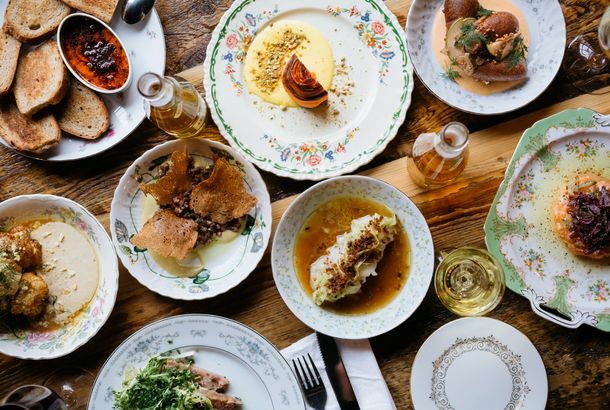 Oui, Chef: A New York Pioneer Finally Gets Back in the KitchenThirty-five years after blazing a fine-dining trail downtown with Chanterelle, David Waltuck will open élan this summer. Jamie Oliver’s Flashy London Butcher Shop Closed by Health DepartmentThe shop, underneath the chef’s barbecue restaurant, has since reopened. Partnerships: Jonathan Waxman, Tom Colicchio, and Seamus Mullen Announce NewWaxman and Mullen will open restaurants in New York while Colicchio is heading to Miami Beach. Top Chefs, After Hours: Inside Daniel Boulud’s Birthday PartySome stayed until sunrise. Inspection Issues: NYC Chefs on the Realities of Dealing With the DOHSome of New York’s most prominent chefs discuss what they think could be done to help restaurants and diners better understand the Department’s sometimes-arcane rules. La Caravelle Chef Roger Fessaguet Has DiedThe high-school dropout put French fine-dining on the map in New York. Food Network Star’s Viet Pham Was Punched Outside ScoresThe attacker broke his glasses. Gnocchi-Makers and Cognac Snifters: 14 Chefs and Their Very First TweetsThis is going to get awkward. Elizabeth Falkner Leaves Corvo BiancoThe chef has left the Upper West Side kitchen after seven months. Giada De Laurentiis Made Her Fashion Week Debut Last NightThe chef wore Carolina Herrera. Bobby Flay Can Also Cook WellThe chef opens Gato in Nolita next month. Gordon Ramsay Lost a Bottle of Champagne at Qatar AirportHe’d rather see a smoking ban than a Champagne ban. Noma Co-founder Claus Meyer Planning ‘Nordic Food Emporium’ for NYCMeyer’s rift with René Redzepi almost destroyed the restaurant. 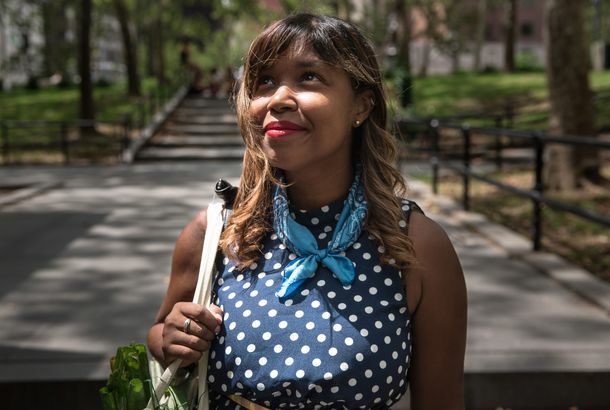 Get It Together, LadiesA ‘Time’ editor explains, sort of, why the magazine’s “Gods of Food” issue didn’t include more women. For Andy Ricker, Everything Started With BiscuitsHe moved on to Chiang Mai curries from there.